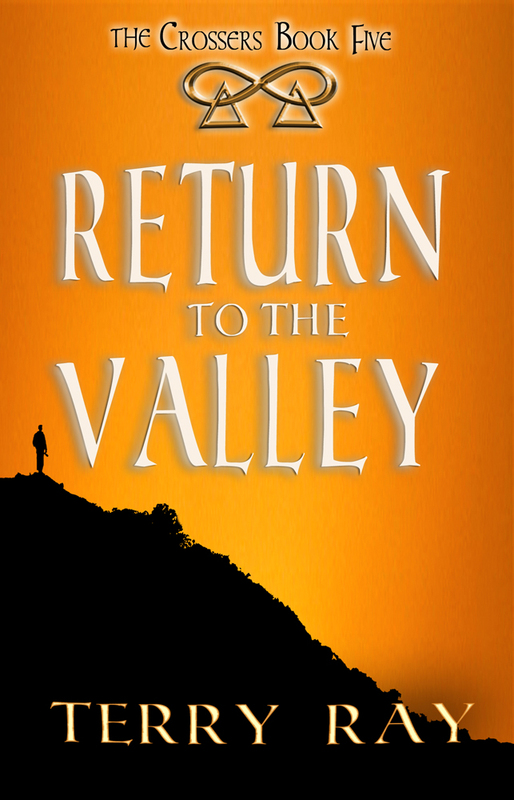 "The Crossers" series continues with "Return to the Valley"
MECHANICSBURG, Pa. — Sunbury Press has released “Return to the Valley,” Terry Ray’s fifth installment in “The Crossers” series. With his eyes on the sidewalk, Marty Chapman quickly crossed the quad and entered Watson Hall. His stomach was churning emptiness into nausea, having not contained food since yesterday at noon. He climbed to the third floor then walked the worn corridor carpet to Ken Broderick’s office. He was dizzy from anxiety and lack of sleep and was experiencing a disconcerting out-of-body sensation. Ken looked up from his newspaper and was taken aback by Marty’s appearance as he passed through the open door. Marty didn’t respond with his usual sardonic retort but instead moved in silence to his designated lunch-hour-chat chair. He sat down and stared between his feet at the beige, coffee-stained rug for a few seconds, then looked up at Ken with nervous eyes. Ken waited for Marty to speak. He didn’t. He kept licking his lips and trying to swallow. After a few more long seconds, Ken spoke. Marty’s gaze intensified with alternating shades of guilt, shame, and fear. Without answering, he walked over to the open door and closed it. After doing so, he paused and took a few deep breaths through his nose, then, with a lowered head, humped shoulders, and hands in his pockets, he returned to his chair and swallowed a few more times in an attempt to lubricate his dry throat. He looked up at the ceiling, with his head moving side to side then, lowering his face, he looked directly at Ken and crossed his arms across his chest to hug himself. Ken could see he was quivering. Marty felt very sick. Marty was rocking forward and back in his chair and speaking more to himself than to Ken, so Ken waited in silence for the continuation of the soliloquy. It resumed after a rather long silence. 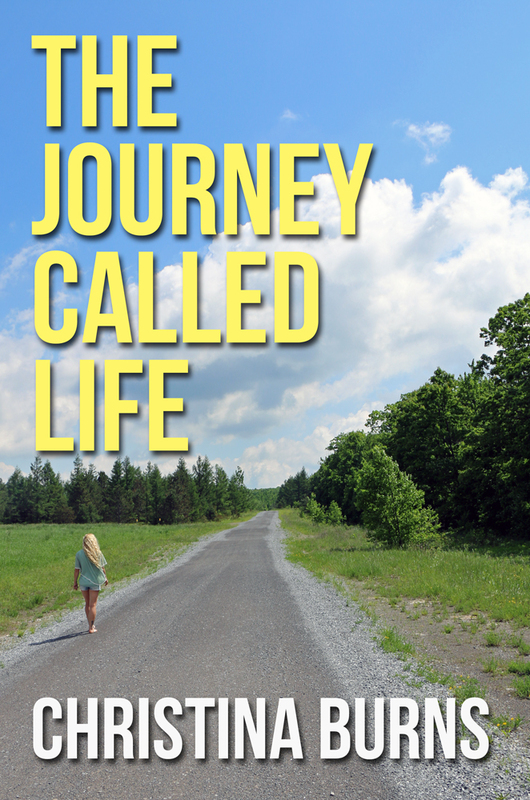 Christina Burns recounts her turbulent youth and discovery of faith in "The Journey Called Life"
My teeth gripped the steering wheel tight in a state of shock. The indents from each tooth forever etched into the steering wheel. I stared straight ahead, out the windshield. I was frozen in fear, physically unable to move. I just watched the horror unfolding in the headlights directly in front of me. I looked on in stupefaction. “Is this really happening?” I wondered. “Am I dreaming?” It was almost like a movie, except it was much more vivid and way more terrifying than any movie could ever be. This was very real, no pause button, no rewind. Frightened, I just kept watching. I felt my body go numb, I couldn’t think, couldn’t speak, couldn’t move. There was blood everywhere. I could see that his chest was still moving up and down trying to breathe. I could hear his lungs still gasping for air. Then they made an eerily gurgling sound as they filled with blood. It poured out of the bullet holes and his orifices like a faucet. How did I get here? I should be at home watching TV with Memom. How had my entire “normal” life led to this point? Had it all been dark and I just hadn’t realized? A dark road, down a dark path, leading to this dark end. That happy-go-lucky, short, petite-build, bleach-blonde, curly headed, smiling, singing, praying, innocent child that I had once been so long ago. At that moment, though, I wasn’t thinking of that. I couldn’t think, couldn’t speak, couldn’t move. Christina Burns was born August 22, 1985 in Altoona, Pennsylvania. Upon graduating from PSU, Christina was awarded a Bachelor of Science degree, in addition to, a Certificate of Chemical Dependency and Preventions Counseling. She went on to attain many personal and professional achievements. Surrounded by “surreal blessings” every step of the way. At one point, she even sat in the same chair as her counselor had years prior, this time counseling someone else sitting in the place she once was. Following graduation, Christina worked as a Case Manager/Counselor at a residential facility for homeless veterans. She was then hired privately to design, develop, and facilitate as the CEO of a non profit faith-based organization. Creating a 19 bed residential facility offering a wide variety of services to include a holistic approach to life recovery, was an exciting experience in her career. Going on to work as a counselor at a residential rehabilitation facility and specializing in mental health, behavioral health, and drug and alcohol, is perhaps her most favorite of all professional accomplishments. Christina loves being a mommy, helping others, and all things outdoors. From working on mechanics to wearing high heels, she is magnificently well rounded and down to earth! As a true free spirit, Christina enjoys kayaking, mudding in her lifted ’77 Chevy truck, riding dirt bikes and four-wheelers, fishing, sleeping under the stars, museums, amusement parks, dancing, traveling, furthering her education, reading, motivational speaking, thinking, and more- as long as it involves spending time with her son! Discovering true love and happiness in her child, the answers to life’s questions in her education, and fulfillment in her career, Christina finally found her serenity. In following her heart and desiring to help as many lives as possible, Christina wrote her first book. 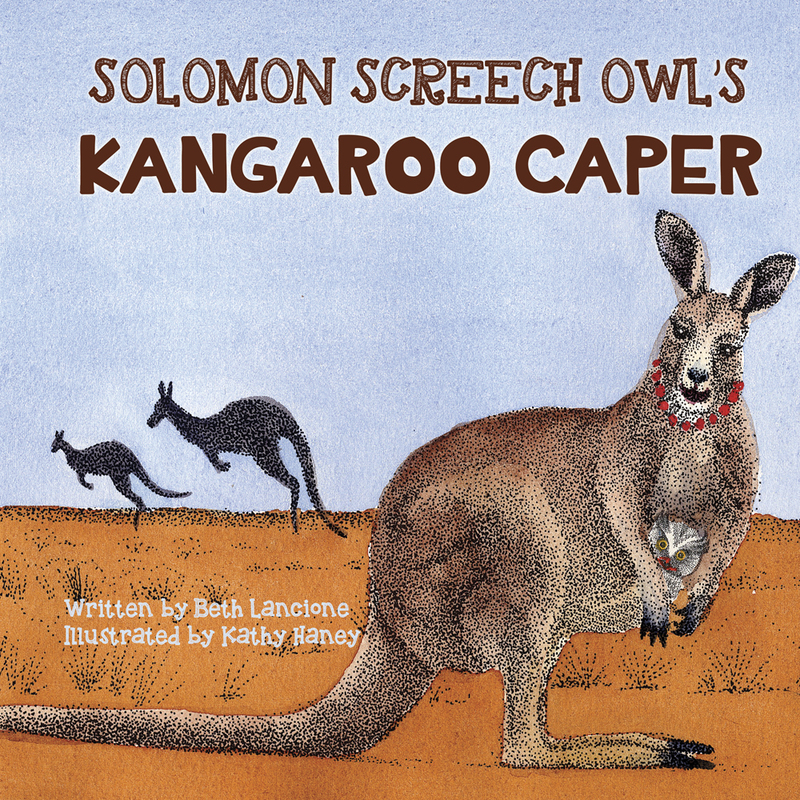 A memoir of life experience, finding inner strength, and keeping hope alive. As an author and a member of the International Women’s Writing Guild, she now shares her story with the world. 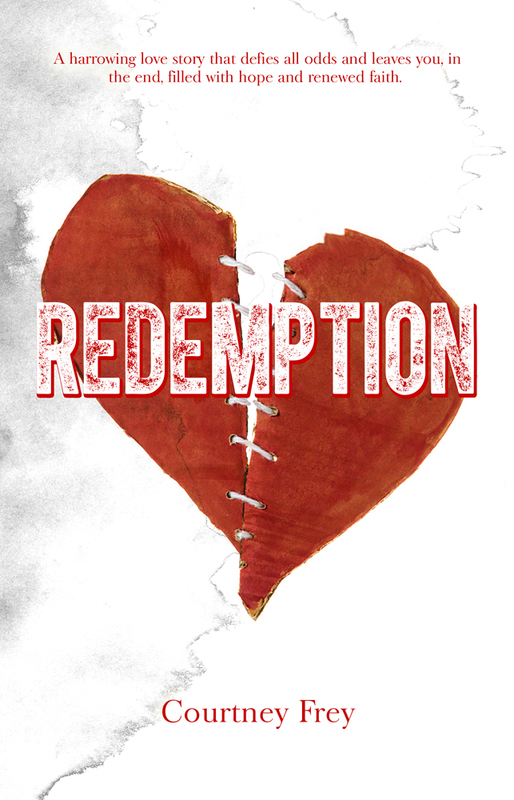 MECHANICSBURG, Pa. — Sunbury Press has released Redemption, Courtney Frey’s follow-up to her memoir Restitution. After surviving a childhood and adolescence rife with sexual and emotional abuse, enduring conflicting feelings about the adoption of her firstborn son, and becoming a young bride—and a young mother, again—Courtney Frey navigated the precarious territory of early adulthood on what she felt was the other side of the bridge she and Rebecca had built as girls. But with memories of her past always just below the surface and her mental illness threatening to bubble over and destroy her present, Courtney’s life whirled out of control, careening on the edge of blissful highs and dangerous lows. In her real-life tale of being a birth mother, an army wife, and a mom of three earning her college degree, Courtney also shares her struggles with mania, married life, family relationships, parenting, career choices, substance abuse, and discovering her own strength and true priorities from the depths of her darkest hours.Redemption is a love story about an unlovable woman and the man whose refusal to give up on her aides her in saving her own life. Read Courtney’s story from the beginning in Restitution (Sunbury Press, 2015). In a story about searching for self-love, overcoming family dysfunction, surviving abuse, and fighting back, Courtney reveals to the reader the secrets of her emotional journey and tells the tale of her quest for purpose and healing, as well as the desire to be needed, wanted, loved, and validated. The story of Courtney’s early life includes heart-wrenching and haunting child abuse, a murder, an adoption, new friendships, a paralyzing accident, teenage pregnancies, and homelessness, as well as budding mental illness. Based on the truth of her own childhood and young adult life, Courtney demonstrates the resilience of the human spirit, that finding love starts with purpose, and that, even against the odds, nothing is ever in vain. None of what I am about to do makes sense. Looking into the mirror I can hear my mother’s words, two margaritas in, just ten hours before: “Do you know what you’re getting yourself into?” She had been talking to James. Not to me. The attendant from the front desk pokes her head into the tiny dressing room, her white hair colliding into the pink paisley wallpaper. “Would you like some help, dear?” She feels sorry for me, but I’m not sure why. I’m sure she does this all the time. Turning her away with a half smile I look around the small room, wondering if James’ dressing room looks like this. I can’t help but laugh a little because a Marine in a pink flowered wallpaper room is almost as ridiculous as a first date wedding in Las Vegas. I want to pray, but the words won’t come. I hear myself thinking about James, on the first night we met, that he was the man I was going to marry someday. I listen as the empty space around me spills sweet hopes straight into my spirit, and I wonder if the greatest choices I have ever made were all born from a whim. Does my heart know better than I do? Or am I just a single teenage mom with no way out, looking to James to save me and Amanda? He was so handsome on that first night almost two years ago. The time we spent talking together in the garage on those cold cement steps worked some sort of magic that allowed me to release my demons and in some way find the strength to hope again. If a nineteen-year-old virgin Marine who had his entire life pulled together in a perfect bow of faith-tied ribbons could even wrap his heart around the idea that I could be worth something . . . just the thought of the possibility was transforming. We’d spoken on the phone in the following year, discovering more about one another and secretly engaging the idea that maybe love at first sight wasn’t as silly as people made it sound. He went on to do a tour overseas, and I gave birth to Amanda, afterward, slowly trying to pick up the pieces of my lost years. I hear murmurs of people outside the dressing room, but I need more time. I need to go back and recall all the reasons that getting married at nineteen, on what is really our first date, doesn’t seem so ludicrous. I have to justify it somehow to myself. They can wait.